Literally had a million errands to run today. Hate those days when there’s so many little things to do but none of the places are even remotely near each other! Anyway I’m all done now and going to start making dinner (buffalo chicken) and dessert (nutella donuts), yum! So here was today’s outfit. I love this light denim shirt. Its actually my sisters so hopefully she doesn’t see this post! 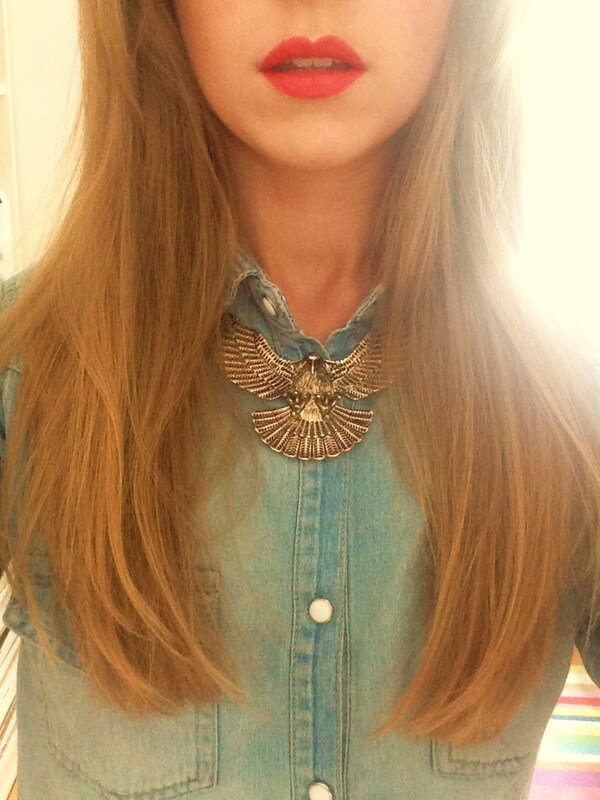 I wore this gold Topshop eagle necklace as a collar. Its a bit of a twist on the collar trend and really adds a focus to the shirt. The jeans are my new J Brands and I’m wearing my Chelsea boots. I went with a red lip, MAC’s Lady Danger, to add a bit of colour to the outfit. Some of today’s arm candy. 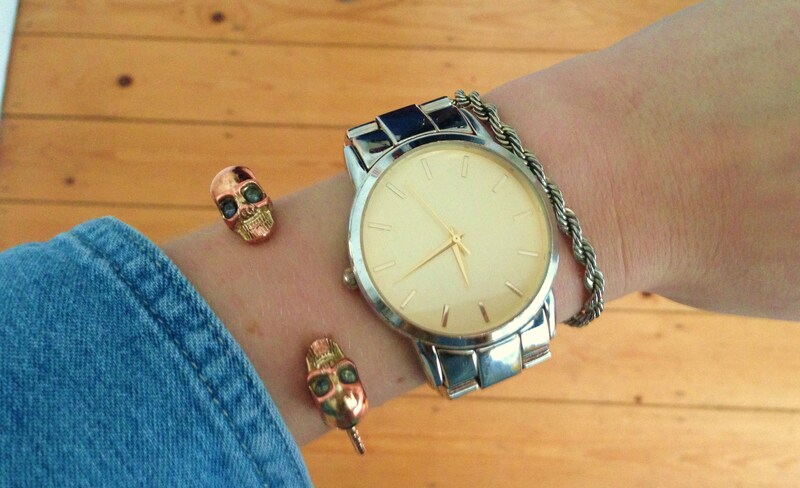 The usual Asos watch and vintage bracelet and then this Alexander McQueen knock off from River Island. Keeping it simple and tying it in with the necklace.